Premium feel, budget price. That’s the best way to describe the 15-inch Ideapad 320s, which quite frankly, makes the standard Ideapad 320 obsolete. Although the latter offers decent hardware for the asking price, the 320s raises the bar with super thin screen bezels, aluminum lid, better input devices, lower weight, thinner profile and overall better feel and user experience. But what about battery, screen quality and thermals? 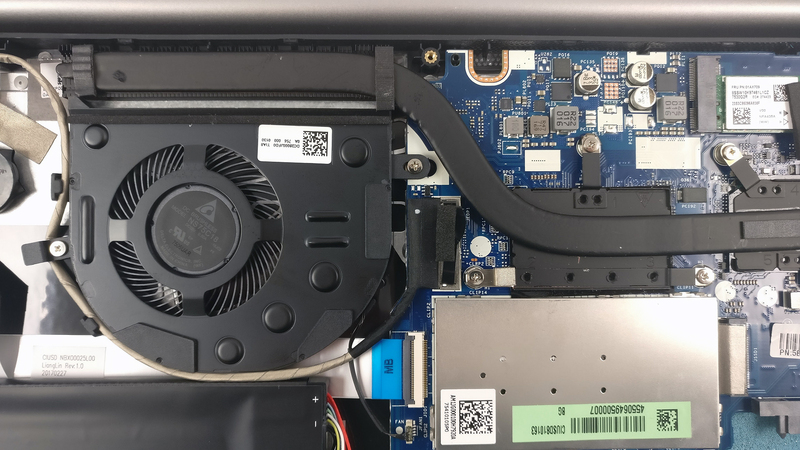 Even if the Ideapad 320s doesn’t really impress with endurance and won’t be able to drive all the demanding games nowadays, the IPS screen on this sub-$600 laptop makes it one of the most affordable and sensible multimedia choices out there. We are still waiting for the hardware refresh with Intel’s latest 8th Generation processors and NVIDIA’s budget GeForce MX150 graphics chip so it can go head to head with Acer’s Aspire 5 (A515-51G), which is the closest you can get to an affordable true multimedia laptop. 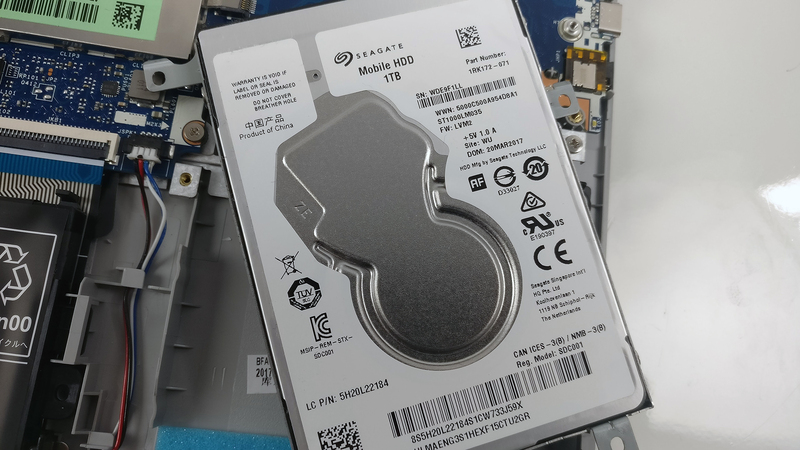 Let’s find out what else the Ideapad 320s has in stored for us. 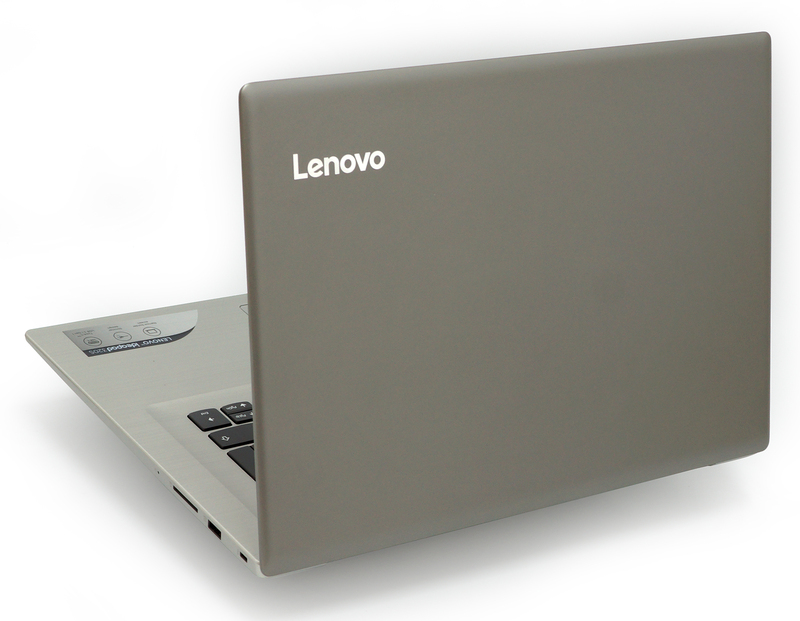 The laptop comes in a standard package containing all of the usual user manuals and AC adapter for charging. Visually, the Ideapad 320s isn’t much different from the Ideapad 320 but it once you touch it, you will feel the difference. 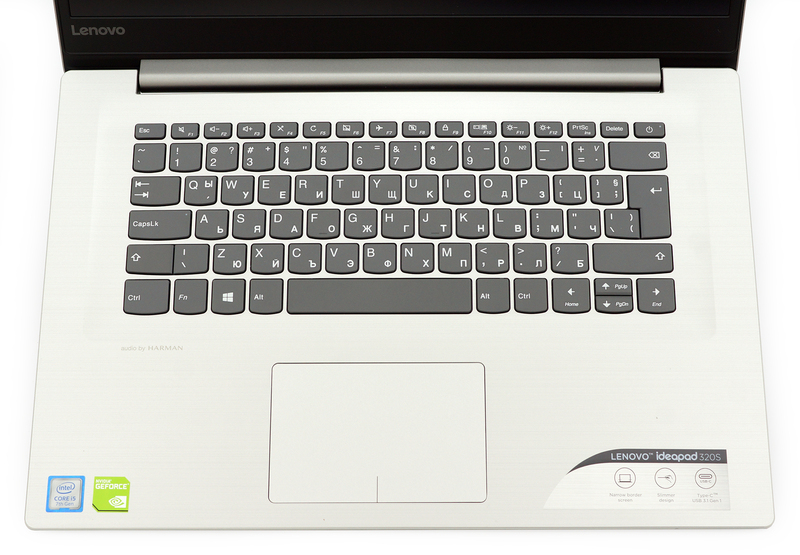 The Ideapad 320s feels slightly lighter, smaller but somehow more robust at the same time. Measuring at just 19.9 mm in thickness and weighing less than 2 kg (1.9 kg to be exact), the Ideapad 320s is one of the most portable 15-inch laptops in its class. The lid is the only element that’s made of anodized aluminum and interestingly enough, the metal sheet feels pretty thick and stable. 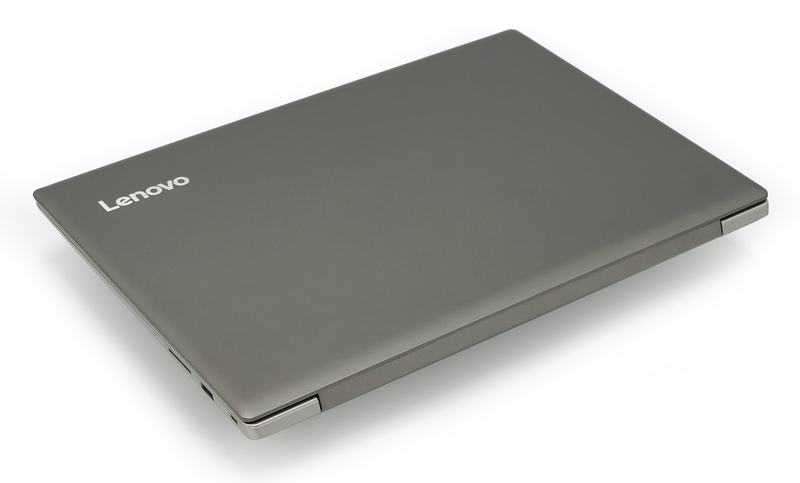 We’ve reviewed much more expensive notebooks with aluminum lids but noticeable flex. Here, on the other hand, the flex is almost non-existent. Also, the dark gray color variant that we are reviewing isn’t susceptible to fingerprints and smudges. Anyway, as you open the lid, you will notice the exceptionally thin side bezels while the upper one is slightly thicker so the webcam can fit in. This has significantly reduced the footprint of the case. You will also feel that the hinge keeps the lid firmly in place but it’s a challenge to open it. Using one hand is impossible as well. The bottom piece is made of plastic and offers a big vent that helps with the cooling and two smaller ones for the speakers. Going around the sides, we see pretty much all the connectors and ports that you’d probably need. On the left, you will find most of them making the right side clear of the cables, which is a good thing. The DC charging port, HDMI, USB 3.0, USB-C 3.1 (Gen 1) and the 3.5 mm audio jack are on the left while on the right, you will see the standard USB 2.0 and an SD card reader. Probably another USB 3.0 wouldn’t have hurt but let’s not get too picky. The interior has that smooth plastic finish strongly imitating aluminum but once you press the wrist rest area and the spot between the clickpad and the spacebar, you will know it’s not. A visible flex occurs that shouldn’t reflect on one’s usage but we feel that it should be noted. In any case, we were delighted by the input devices – the keyboard is super nice with reasonable key travel, tactile and clicky feedback and a pretty standard layout that will ensure quick adaptation. 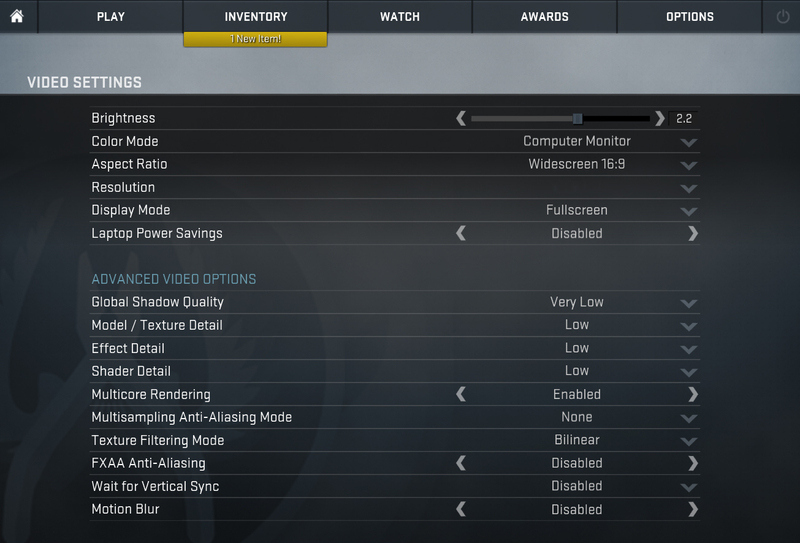 The touchpad, however, was a big surprise here. It’s extra smooth, it offers exceptionally light mouse clicks and good and accurate response. It pretty much beats almost everything we’ve tried in this price range. 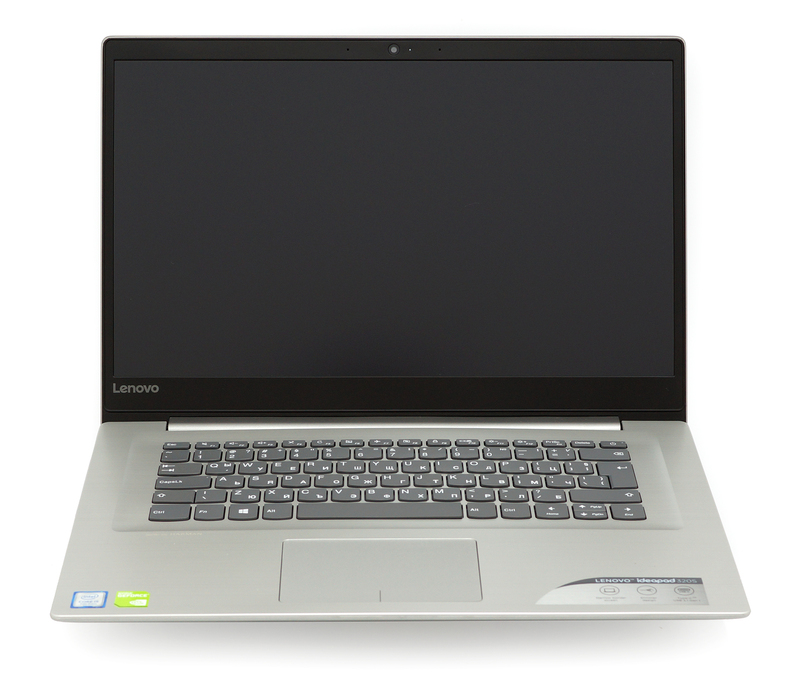 The bottom line is – the Ideapad 320s (15-inch) delivers way above average build quality for the asking price – with the small exception of the flexible wrist rest area, of course – while keeping low weight, compact dimensions and excellent input devices. The disassembly process is pretty easy and requires only the removal of the bottom screws. Then just gently pry up the bottom piece and you are set. 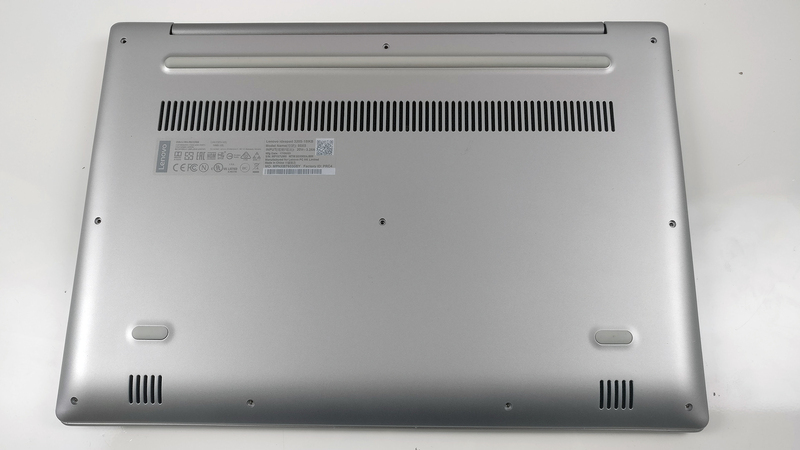 Also, it seems that the Ideapad 320s is almost identical to the Ideapad 520s in terms of space management and internal design. 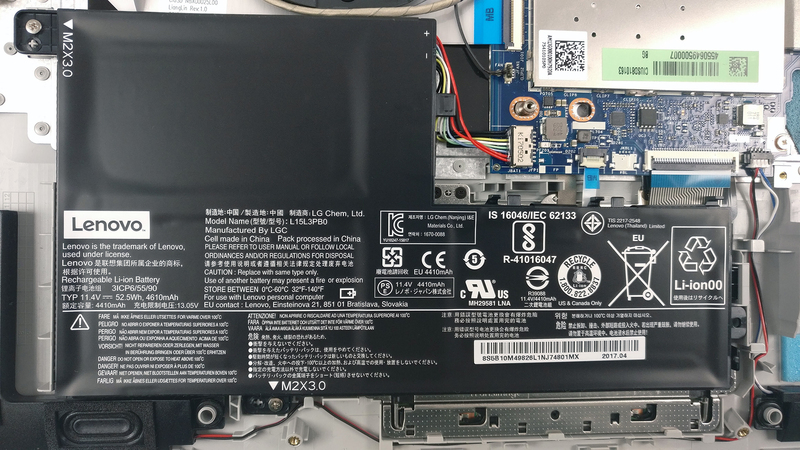 Luckily, the Ideapad 320s has the usual storage configuration as most 15-inch laptops nowadays, even in the mid-range segment. Here we have the standard 2.5-inch HDD/SSD bay and an M.2 SSD slot as well. Our unit, however, came with one Seagate 1TB HDD. 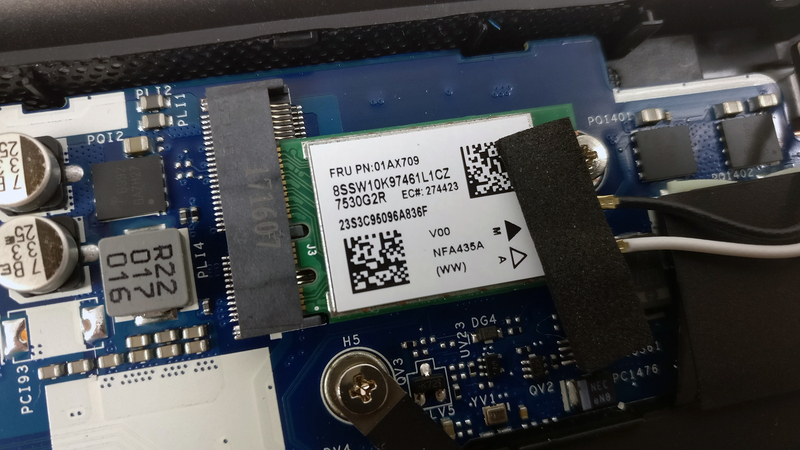 The laptop comes with just one upgradeable memory slot which may not be enough for some users but for most, it should be an overkill. 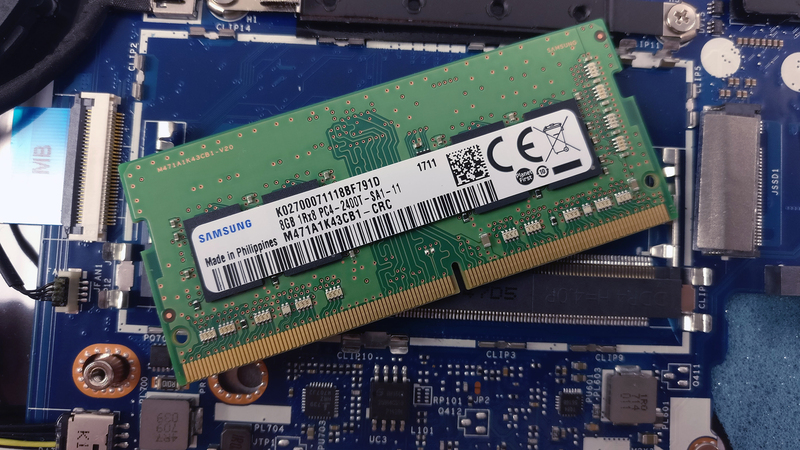 Since the device is going to be used mainly for multimedia, office work and web browsing, a maximum of 16GB of DDR4-2400 is more than enough. The unit we’ve tested, however, was equipped with an 8GB Samsung chip. 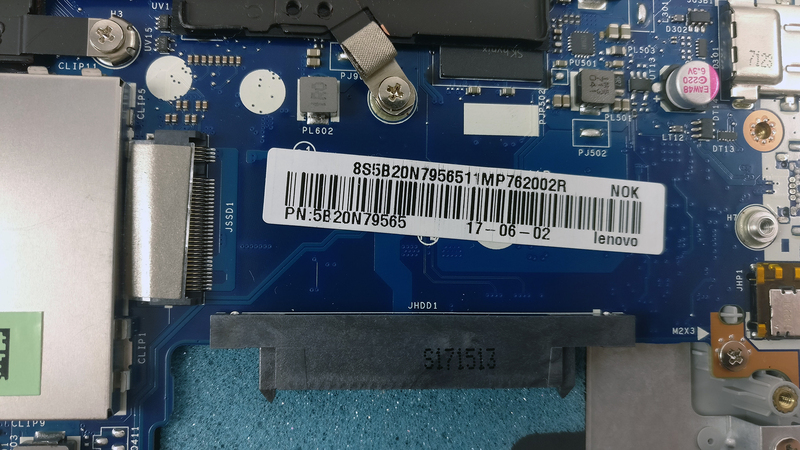 You will find the Qualcomm Atheros QCA9377 Wi-Fi adapter near the screen hinge. The battery unit is located under the wrist rest area and takes a good chunk of the internal space. It’s rated at 52.5Wh. The cooling system consists of a single heatpipe going across both heatsinks and one fan pushing the hot air out. 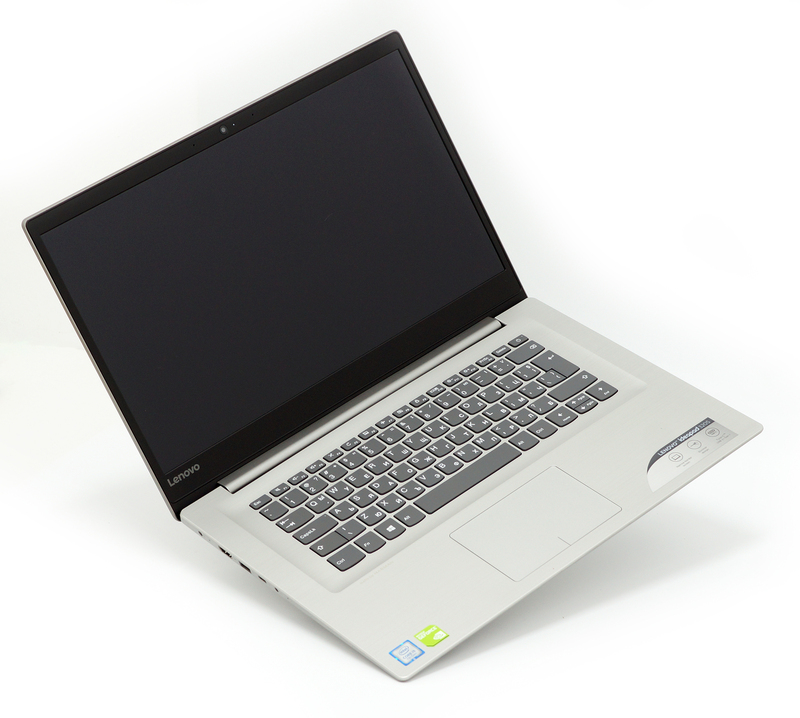 The laptop features a Full HD (1920×1080) IPS display with 142 ppi and 0.18 x 0.18 mm pixel pitch. 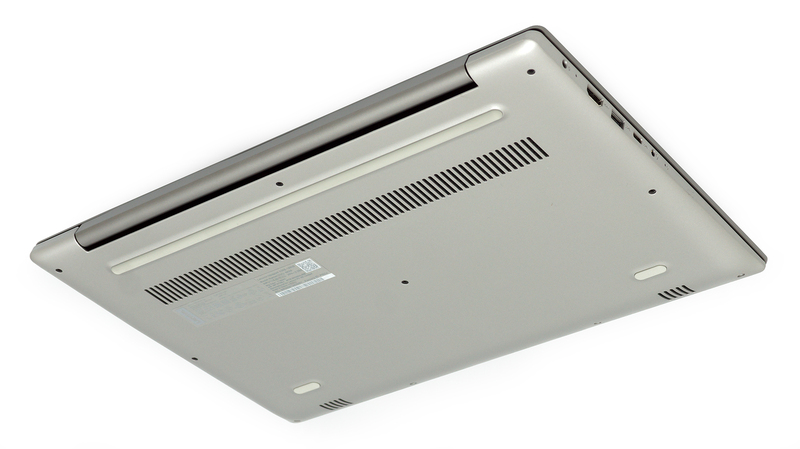 It’s manufactured by Innolux with model number N156HCA-EAA (CMN15E5). It can be considered as “Retina” at least from 69 cm. We’ve recorded a peak brightness of 239cd/m2 in the center of the screen and 229 cd/m2 as average across the surface with just 11% maximum deviation. The correlated color temperature at maximum brightness is almost optimal – 6510K and stays pretty much the same when going along the grayscale – 6550K. You can see how these values change at 140 cd/m2 (87% brightness) in the image below. The maximum color deviation dE2000 compared to the center of the screen should be no more than 4.0 and if you are planning to do color-sensitive work, it should be lower than 2.0. And in this case, since the laptop is going to be used mostly for multimedia and gaming, a deviation of 3.5 in the upper left corner is negligible. 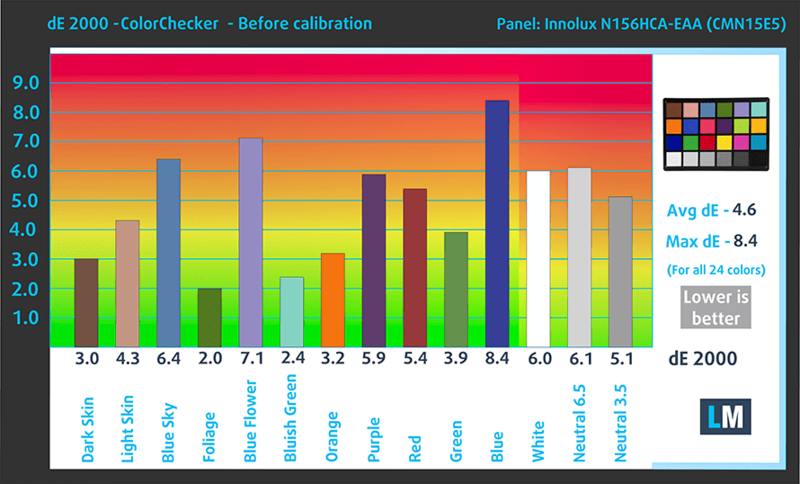 The contrast ratio is 1360:1 before calibration and 1270:1 after calibration. As we’ve expected from a budget-oriented laptop like the Ideapad 320s, the IPS screen used for the configuration is in the lower-end spectrum. 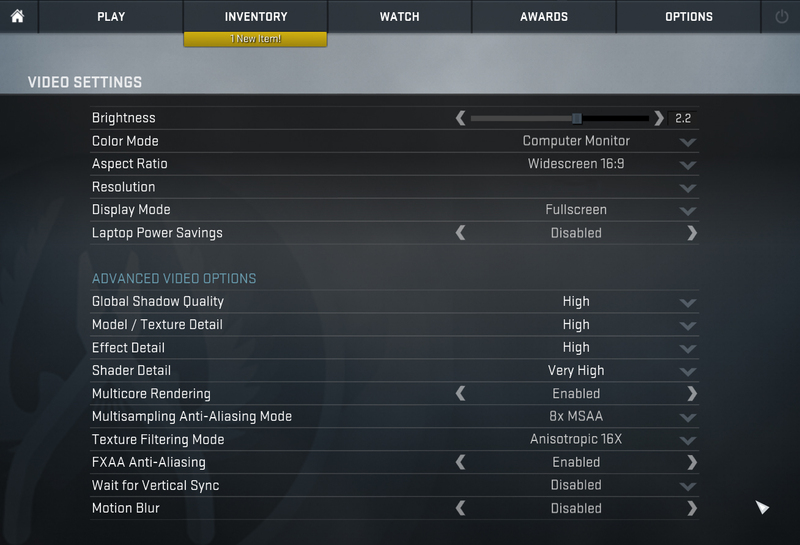 It covers just 53% of the sRGB color gamut meaning that it will be suitable only for general browsing and office work. The multimedia experience won’t be as good. We’ve detected PWM only below 65 cd/m2 (around 68% brightness) but it’s also at pretty high frequency (26 kHz) so it’s practically safe to use at all brightness levels. However, we doubt that you will be using the display at 65 cd/m2 anyway. Obviously, the display has its noticeable drawbacks like limited sRGB coverage and low maximum brightness but it’s still a much better option than most notebooks with TN panels out there. In fact, this one surprises with excellent contrast ratio and no PWM above 68% brightness and both are essential for comfortable use. The sound quality of the loudspeakers is rather good with small distortions in the mid and lower spectrum of the frequencies. We used the pre-installed Windows 10 for the writing of this review but if you wish to perform a clean install of the OS, we suggest downloading all of the latest drivers from Lenovo’s official support page. The battery results from our battery tests confirm what we’ve initially thought – the endurance is excellent. Thanks to the big 52.5Wh battery, the laptop is able to run away from the plug for quite some time. In fact, there’s little difference between the web browsing and video playback scores. Of course, all tests were run using the same settings as always – Wi-Fi turned on, screen brightness set to 120 cd/m2 and Windows battery saving feature switched on. Fritz is a chess benchmark that tests the computing capabilities of the CPU with various chess moves. The Intel Core i5-7200U scored 6.221 million moves per second. In comparison, one of the most powerful chess computers, Deep(er) Blue, was able to squeeze out 200 million moves per second. In 1997 Deep(er) Blue even beat the famous Garry Kasparov with 3.5 to 2.5. Even though the stress tests don’t represent real-life usage because even the most demanding games don’t require 100% CPU and 100% GPU load, we find them very useful to assess the overall stability and effectiveness of the cooling system. We start off with 100% CPU load for an hour. 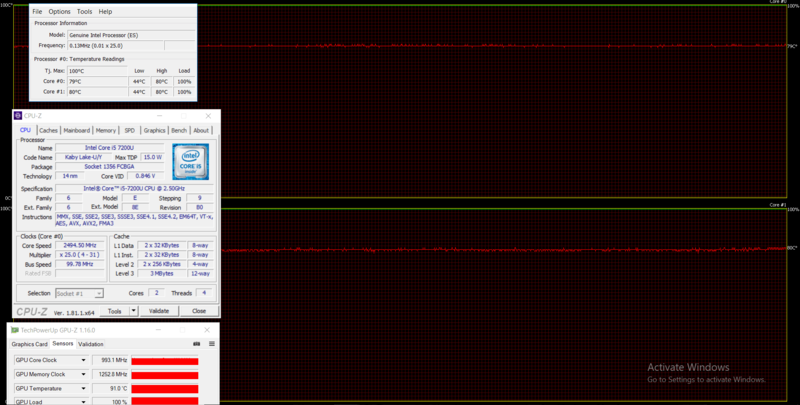 The Core i5-7200U reached its maximum operating frequency but then slowly dropped down to its base 2.5 GHz frequency. No throttling occurred. Switching on the GPU stress test didn’t mess with the CPU’s frequency but temperatores rose on both chips, especially the GPU. The GeForce 940MX reached a toasty 91 °C which is surprising because even gaming laptops don’t hit such high temperatures. Still, temperatures on the surface remained pretty stable. The whole existence of the Ideapad 320s (15-inch) undermines the one of the Ideapad 320. Why? Because the Ideapad 320s does everything better for just about the same price. 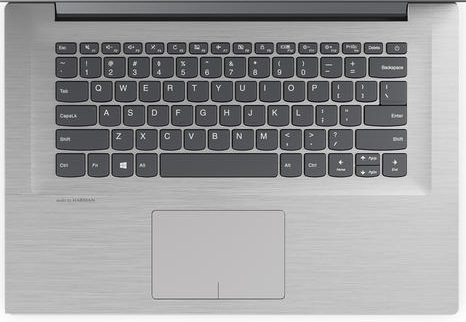 For roughly the same asking price, you get better battery life, better overall design and build quality (especially if you consider the thinner side bezels of the screen giving the Ideapad 320s a more modern look), more storage options, better input devices and identical hardware. But even if you ignore the existence of the Ideapad 320, the Ideapad 320s is actually a pretty sweet deal. Its price is affordable given the features it offers – decent hardware and a Full HD IPS display. 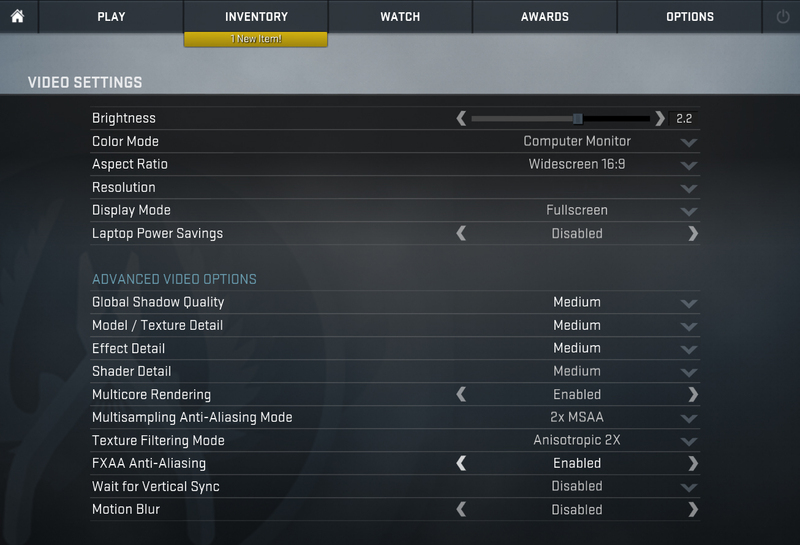 The latter needs a little polishing here and there but should do just fine for everyday tasks and web browsing. It also lacks PWM above 65 cd/m2 so it should be safe to use for long periods of time. 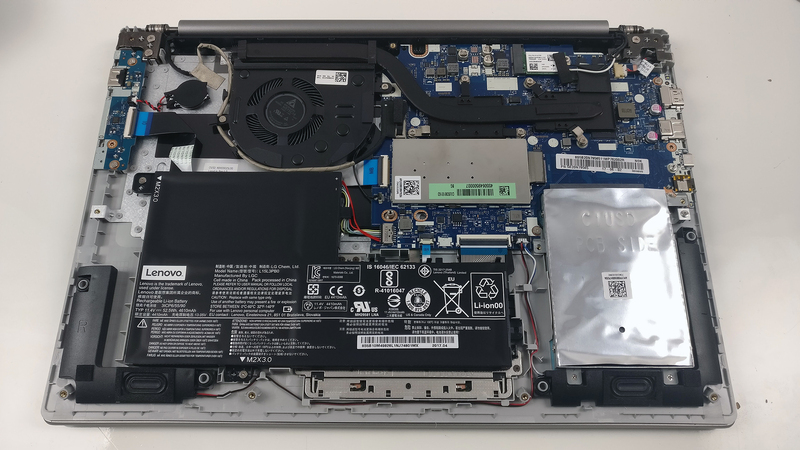 In addition to all of this, the Ideapad 320s impresses with solid battery life, which is rarely seen in this price range, except for the Acer Aspire 5 (A515-51G) – just a tad more expensive, yet still an excellent alternative. However, we can’t ignore the fact that the GPU reaches abnormally high temperatures under load, which may turn out to be problematic in the long run. Asked to turn adblocker off so the site can make money and the first advert to pop up is ‘Buy X1 Carbon for £350’ leading to an obvious scam site. This website needs to consider its advertising partners if it wants us to take it seriously.